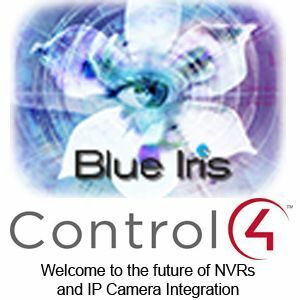 Using your Blue Iris Server, make almost any IP Camera work natively within Control4 navigators. Use the camera view to trigger actions within it by either code entry, or location aware touch feedback. Comes with 48 Hour Free Trial. Are you tired of searching for "Control4 Compatible" Ip-Camera's? Would you like to be able to open the garage door, turn on the light, close the gate, and more by simply by tapping it in the camera view, or inputing a code on a 9-Button Keypad that overlays the image when you start tapping in the code? Would you like to send a real time alert to your phone, when someone pushes the doorbell? Would you like to disable all interior camera's when the users alarm is disarmed, and then enable them when the alarm is armed? All this and more is available today by using Perspective's Blue Iris NVR softare, along with this Blue Iris NVR driver by Audio Obsessions.